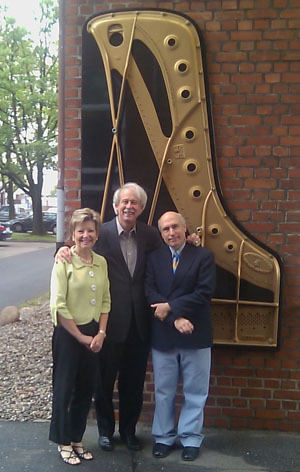 Three School of Music piano faculty, Faye Adams, David Northington and David Brunnell, outside the Steinway showroom in Hamburg, Germany. "Steinway, worldwide, is the gold standard," says Dr. Jeffery Pappas, Director of the School of Music. "We want our students to be excellent at what they do, and have made a commitment to provide them with the best instrument they can play." 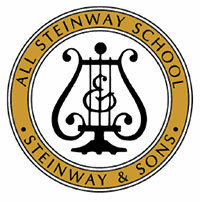 Internationally, more than 120 universities, conservatories, and schools are classified as All-Steinway Schools, including the Oberlin Conservatory, the Cincinnati Conservatory, and the Cleveland Institute. Several Southeastern Conference schools bear the classification as well as several Tennessee colleges. "About 400 students use the school's piano collection of 116 pianos, 68 of which are new," says Pappas. UT's concert hall and faculty studios have both Hamburg-made Steinway pianos and a New York version of the same instruments, allowing students and artists to use their preference. The university's privately financed $3.5 million "All-Steinway" campaign started five years ago under the leadership of Jim Powell, a UT alumnus and donor, and his wife, Sandy. The campaign was successfully completed in 2013. Fifty-eight donors contributed.